November 1, 2015 November 1, 2015 J.C. Movements on the right and left are changing the political culture. Their impact can be seen in the Democratic and Republican primaries, but the media does not report it. Why the confusion? Media pundits have not given credit to the popular movements on both the right and left. This election cycle is showing the impact of social movements on the primary campaigns — both in the polling results and in the candidates’ rhetoric. 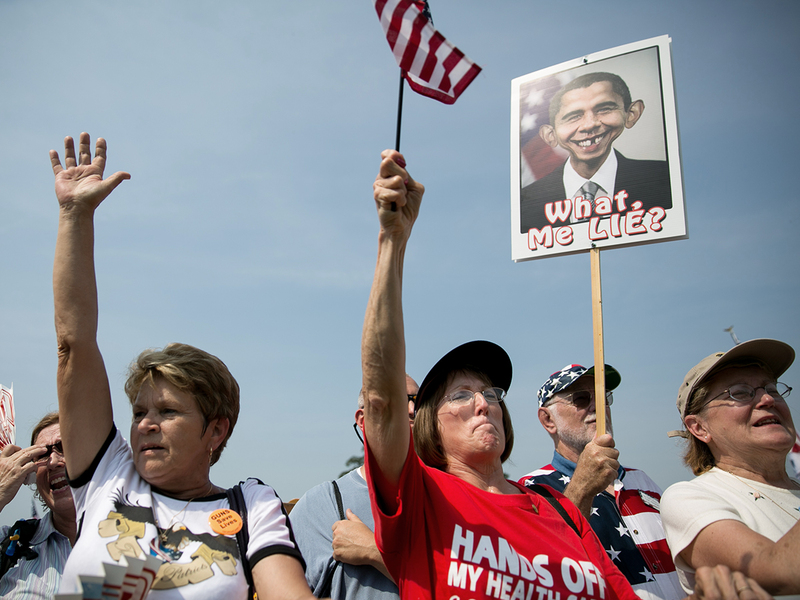 On the Republican side, Tea Party anger is showing itself. Republicans co-opted this movement, but its members are dissatisfied with elected Republicans and are turning to non-politicians. Why are they angry? Because the core of Washington politics continues: crony capitalism, wherein government writes the rules and doles out the cash for their big business donors. One example of many was giving President Barack Obama fast track trade authority to negotiate deals that undermine our democracy, economy and sovereignty. Voters know that these crony capitalist trade deals, like the Trans-Pacific Partnership, which is larger and farther-reaching than NAFTA, have been bad for the U.S. economy. Speaker John Boehner was forced to resign because of his heavy-handedness in insisting Republicans support fast track for Obama and punishing those who led opposition to it. 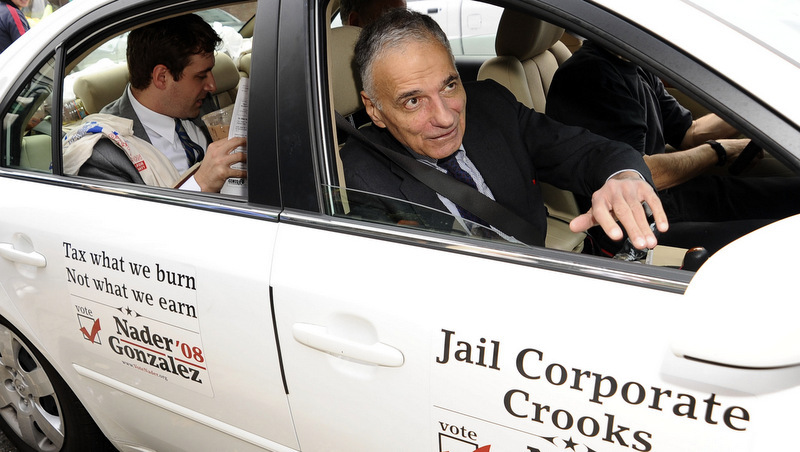 The role of corporate Democrats has been evident in the Democratic Party for a long time. The Democratic Leadership Council, founded by Bill Clinton, Al Gore and others, was successful at destroying Howard Dean, an insurgent, but definitely not a radical one. The DLC has evolved into the Third Way Democrats, whose donors are funding former Secretary of State Hillary Clinton and will seek to ensure the defeat of Sen. Bernie Sanders. The Democratic Party needs a complete overhaul away from its pro-corporate, “Third Way” stance if it wants to be in synch with the grassroots. The Occupy movement and its offshoots — Fight for $15, Black Lives Matter, OUR Walmart, Strike Debt, and United We Dream, among others — hold views opposite from corporate Democrats. More revolts are coming as Washington continues on the same corrupt path. Mass movements need an electoral arm, one that comes out of the movement with candidates who are accountable to the movement. In fact, to help achieve that, Margaret Flowers, co-director of Popular Resistance, will be taking a leave of absence as she seeks the Green Party nomination for the U.S. Senate in Maryland. The movement needs to build an alternative to challenge the United States’ mirage elections and pro-corporate parties. 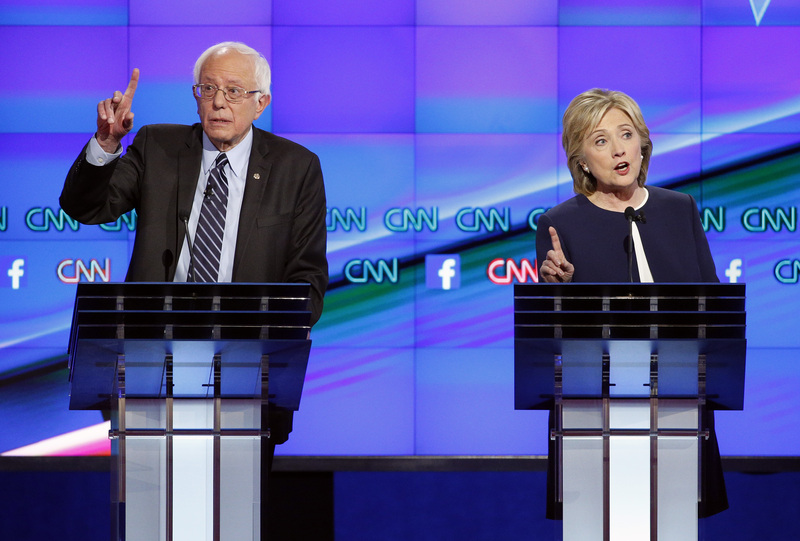 U.S. elections consist of two corporate candidates running against each other. The two political parties rig the system to prevent insurgent challenges inside the duopoly and to stop third alternatives outside the duopoly. Movements have a lot of work to do to create real democracy; basics include universal voter registration, uniform ballot access, verifiable voting systems and public funding of public elections. Much more needs to be done to create a representative democratic system that allows for minority parties to have a voice in the legislature, i.e. proportional representation, as well as a break from monopoly voting districts to protect the duopoly. We also need to build more direct democracy like voter initiatives and participatory budgeting. These are a few examples of how the U.S. badly needs to update its electoral system to catch up with world experience. The U.S. is the most ingrained two-party system in the world; that is not a compliment but a description of a system that does all it can to prevent alternatives to the two corporate parties. 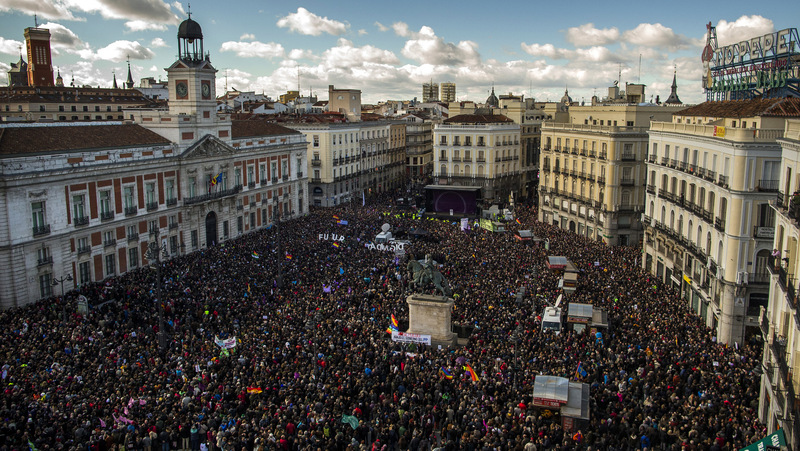 People in the U.S. can look at Spain, Greece and even Canada to see how alternatives to the two corporate parties can advance and represent the interests of the people. In Canada, people were astounded earlier this year to see a third party elected to lead Alberta, the oil capital of Canada. Writing for EcoWatch, David Suzuki describes how the voters gave the New Democratic Party a strong majority in response to austerity measures taken by the Conservative Party that reigned for 44 years in Alberta. The NDP is a long-time third party in Canada that was born out of the labor movement in 1961 and is credited with bringing Medicare to all Canadians. Its first leader, Tommy Douglas, remains the most popular Canadian in history. He explains the futility of two-party politics in this video. The new electoral movement is a “municipal movement,” participants tell their story in a video that provides a “recipe” for such a movement. “Anybody who is running for an election wants to win enough votes to take the seat for which she or he is campaigning. To do that, they tend to be conciliatory; they don’t want to make any enemies. They want to win just enough to get over the electoral barrier. They tend to be consensual, they tend to not want to make trouble. They want to keep everyone that voted for them last time and add the few more that they need to get over the hump. Movements are very different. They are dynamic. How they grow, how they succeed is very different. Protest movements in particular do two things. They identify issues that politicians want to ignore, because the politicians want to paste together a coalition that can win. Movement leaders, on the other hand, want to identify the issues that can mobilize people. They don’t care about voting, because we don’t know a movement exists by the number of votes it can get—we know by how many people it can pull into the streets. So movement leaders are attracted to contentious issues that make trouble for the parties. And that is why many recognize the importance of continuing to build an independent movement even if movement candidates win elections. There continues to be a need to disrupt the system to pressure other forces that seek to block progress. The U.S. is very different from Europe. Each country in Europe is the size of one state in the U.S. Countries in Europe have systems where even parties that get a minority percentage of votes can be represented in parliament. While many countries have two parties that dominate the political system, there is a greater possibility of participation. This June an NBC/Wall Street Journal poll found that 50 percent of Americans consider themselves independent and fewer than 30 percent align with either major party. 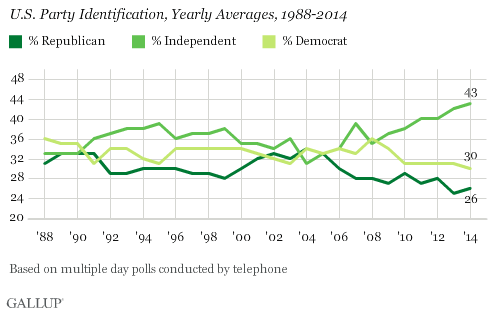 A 2015 Gallup poll similarly found arecord high number of Americans — 43 percent — consider themselves independents, with only 30 percent considering themselves Democrats and 26 percent considering them Republicans. The independent nature of U.S. voters is not reflected in elections, which makes it very difficult for alternatives to the duopoly to participate. At the same time, elections are funded by a shrinking group of the extremely wealthy. The U.S. is now widely recognized as an oligarchy, where big business and moneyed interests rule, and where democracy is a mirage. There have been some recent examples at the local level where people from outside of the duopoly have won elections. Most notable is Kshama Sawant, the Seattle City Council member, who Chris Hedges describes asthe “most dangerous woman in America.” Sawant ran with Socialist Alternative, winning 93,000 votes in a citywide race. Sawant came out of the Occupy Movement, fought housing foreclosures and made the Fight for $15 her signature issue. Sawant is up for re-election on Nov. 3 this year; she won the first round of voting in August with 52 percent. In 2007, Richmond, California, elected a Green mayor, Gayle McLaughlin, with Greens, independents and progressive Democrats controlling the City Council through the Richmond Progressive Alliance. Big Oil failed in its attempts to defeat them in last year’s elections. Bernie Sanders, a lifelong independent, is running for president in the Democratic primaries and pledging to support whomever the Democrats nominate if he is not elected. He has entered a rigged Democratic primary system that has successfully blocked insurgent candidates in every election in the last 35 years. The rigging begins with super delegates who make up 20 percent of the delegates needed for nomination, it includes the frontloading of primaries so there are 23 states voting in March requiring hundreds of millions of dollars. And this year they limited debates to only six, when in 2008 there were more than two dozen. This is all designed to stack the primary in favor of establishment candidates like Hillary Clinton or Joe Biden. Sanders has called for a revolution against the billionaire class, but accomplishing that inside a political party owned by Wall Street and other big business interests is an absurdity. While Sanders is misleading people to stay inside the Democratic Party, he is doing useful education on domestic economic issues. This is valuable to the movement’s task of building national consensus. But, when Sanders loses, which is a near certainty in the rigged Democratic Party primaries, people need to understand the problem is not his positions on the economy but the corruption of the Democratic Party. 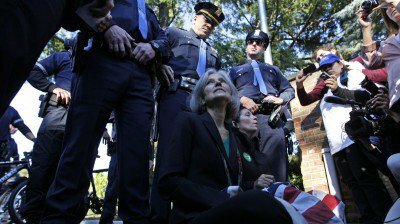 People need to flee the party and support a third-party alternative like Jill Stein, who is likely to be the strongest third-party candidate in 2016. This is not a wasted vote — though the media will try to convince people that it is. It is voting for what you want and help building an alternative to the corporate duopoly. In his article, Howie Hawkins points out that from the 1840s to the 1930s there was a series of independent parties tied to movements to end slavery, secure voting rights for women, allow the development of unions, empower workers, and break up monopolies. The combination of an independent movement and independent electoral politics built power. In 1936, the unions decided to work within the Democratic Party, undermining both independent politics and the union movement. The Nader campaigns of 2000, 2004 and 2008 raised the banner of the “Tweedledum” and “Tweedledee” nature of the two parties. Now the American public is catching on, with a majority being independent of the corporate duopoly. The combination of an independent mass movement and independent electoral politics is once again on the horizon. 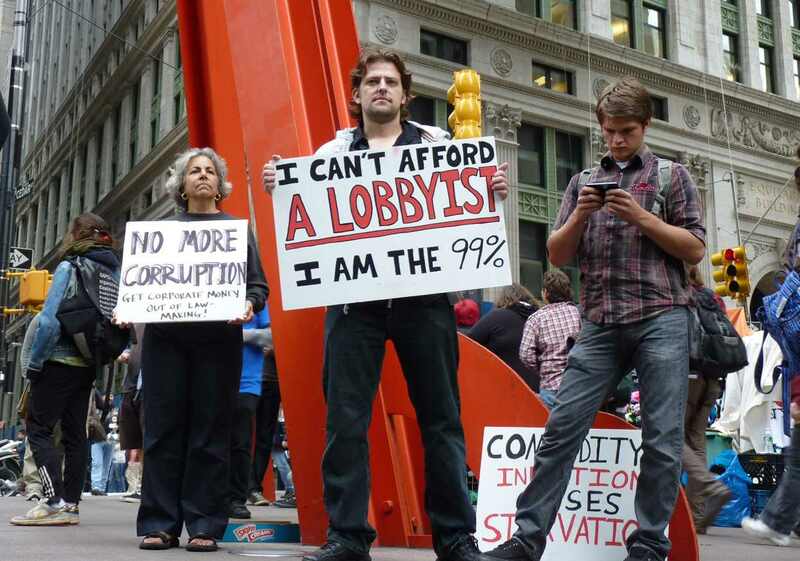 We already see the movement creating confusion in the duopoly; if the movement continues to grow, an independent electoral movement will follow to accomplish the task of the era – end corporate rule and bring economic, racial and environmental justice. Kevin Zeese and Margaret Flowers co-direct Popular Resistance, @PopResistance.